As schools think more and more like mini businesses, creating a ‘brand’ is becoming more important. When it comes to your school website, though, that doesn’t have to mean taking the fun out of how you present yourself. 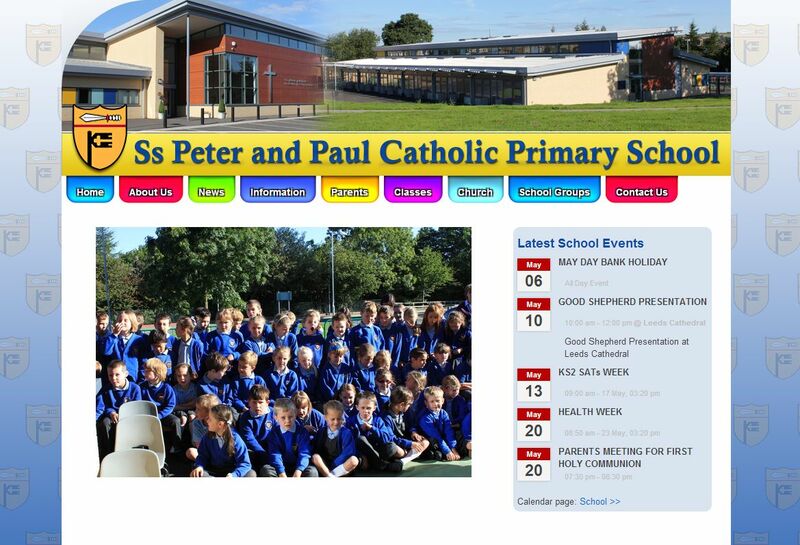 Ss Peter & Paul Catholic Primary School’s website is the perfect case in point. Created using School Jotter, it utilises the school’s colours to great effect – but manages to still be bright, engaging and welcoming. Best of all is the website backdrop that the West Yorkshire school have gone with: School Jotter websites can be created with these bespoke designs – so in this case we have the crest repeated in the background. As for the rest of the website, it’s rich with content – from pictures showing what the children have been up to, to links to other sites that parents and pupils may find useful for learning. If you want to create a fun, colourful brand for your school, get some inspiration by checking out the Ss Peter & Paul Catholic Primary School website here. Ask us about creating a bespoke school website design for you by clicking here.